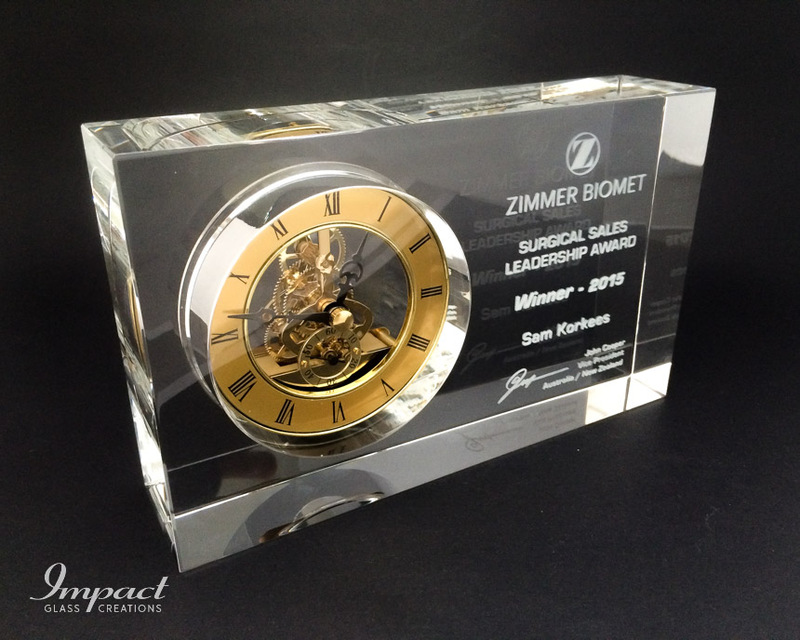 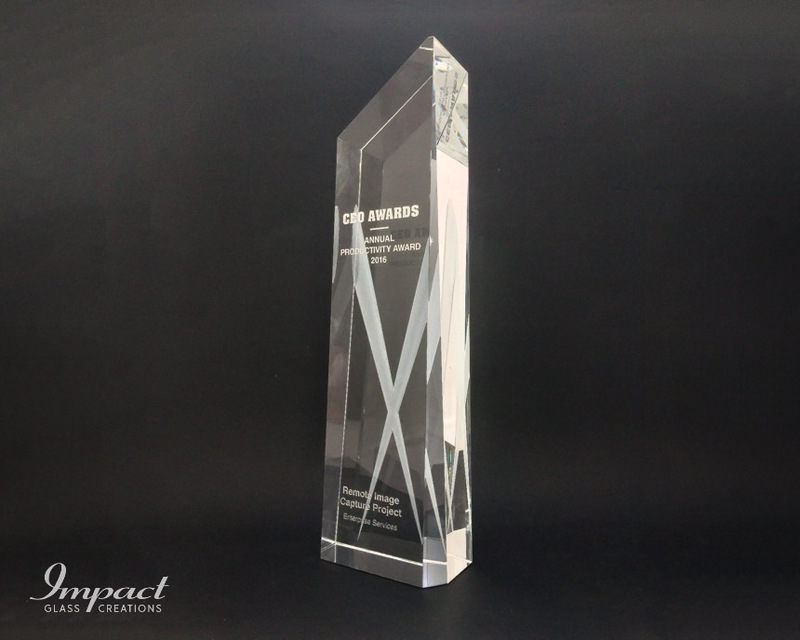 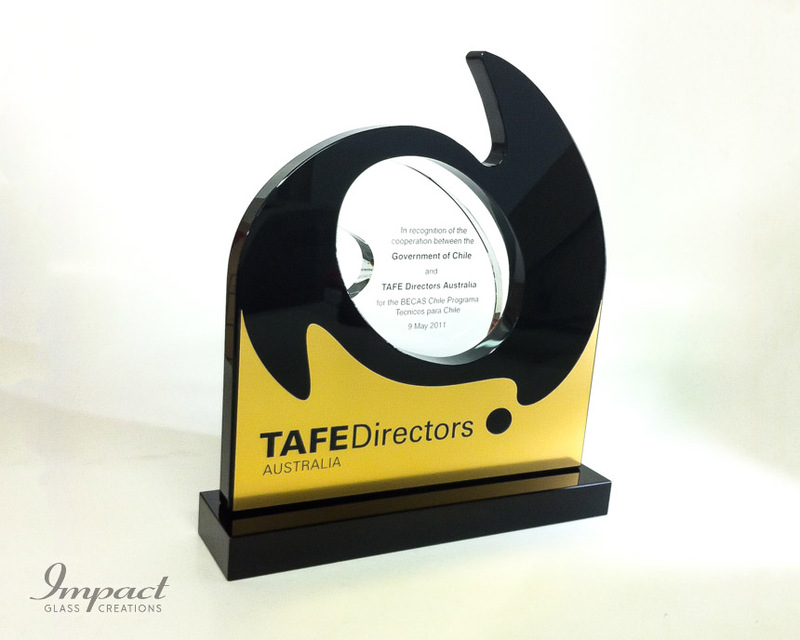 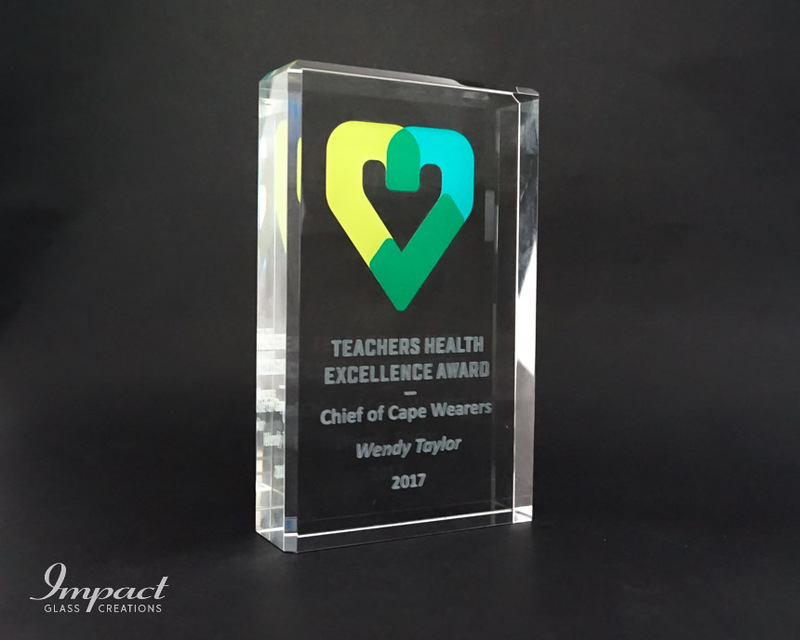 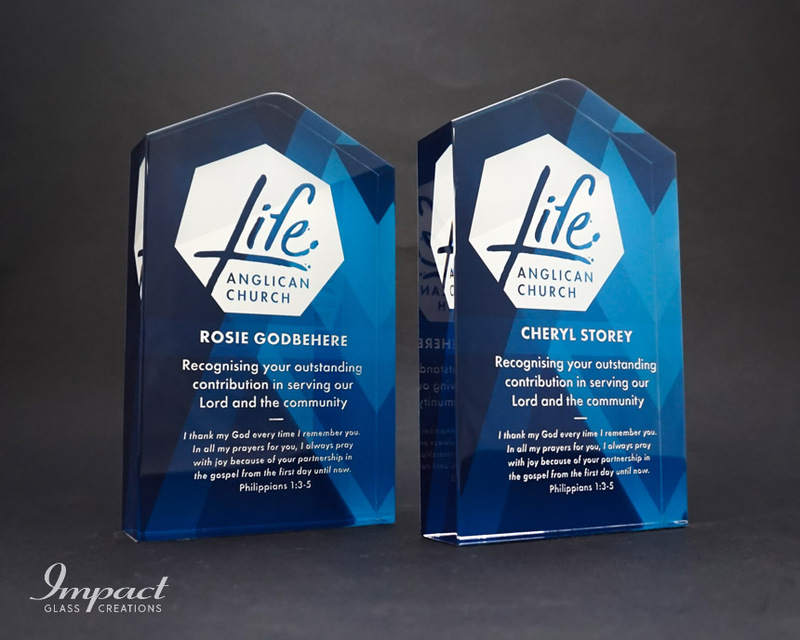 Logo and text have been created as 2D images within the crystal, personalised category and recipient, creating a quality usable and striking award. 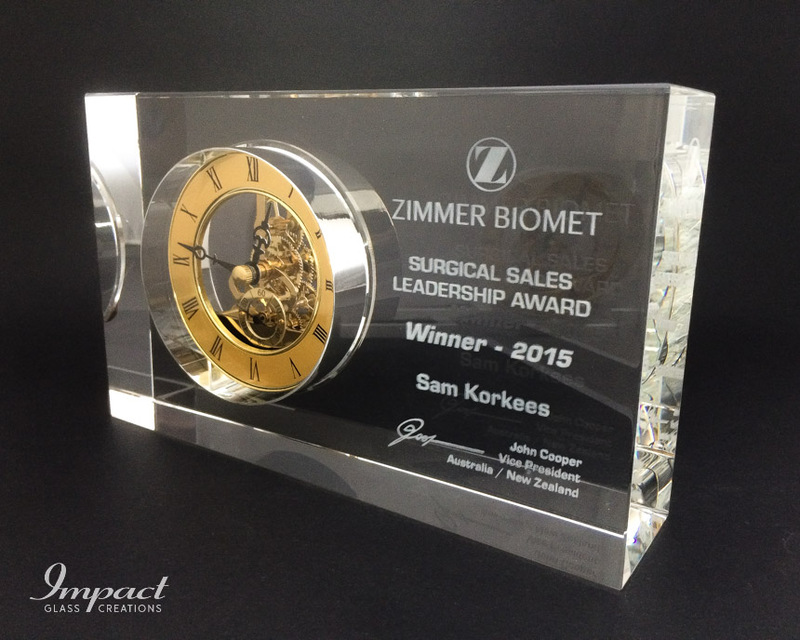 High-quality crystal cut to size and thickness, to accommodate either 3D or 2D internal imaging. 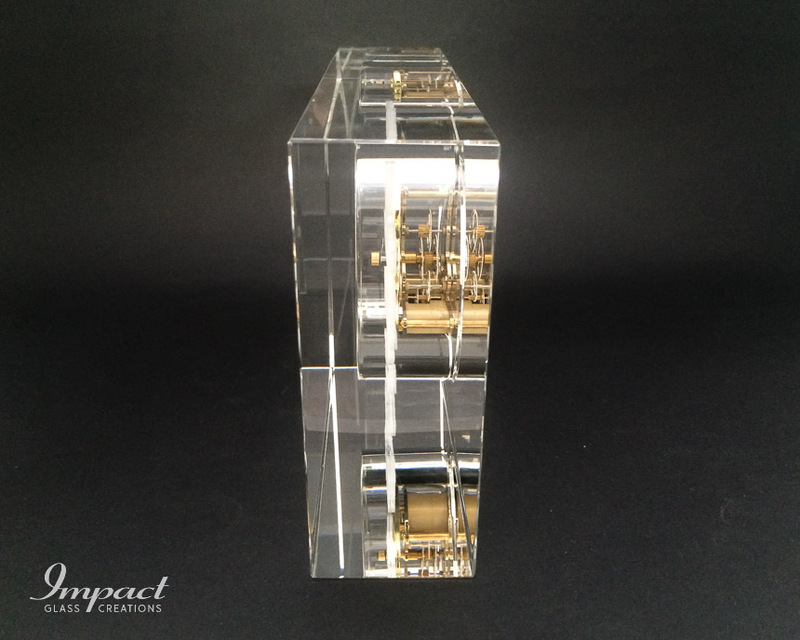 Additionally, the surface could also be engraved should that be required.